Mosquitoes can be the worst. Not only are they a nuisance but they spread disease, including the West Nile virus that has made more than 17,000 humans seriously ill since 1999 and has killed more than 1,600, according to the Centers for Disease Control and Prevention. Mosquitoes can also infect dogs and cats with deadly heartworms. Plus, their bites itch like crazy. Avoid being bitten through mosquito control prevention and traps, and treat the uncomfortable effects of those that do get through your defenses. Changing water often in any bird baths or water features and/or installing a pump to keep water circulating. Regularly running the pump on a pool. Keeping gutters free of clogs. Disposing of any containers that can collect rainwater. Filling any holes that can collect rainwater. However, because mosquitoes will fly a great distance in search of food these efforts must be undertaken on a neighborhood level. The same goes for applying insecticides. It helps to have a homeowners’ association or neighborhood group educate everyone for best results. If you plan to spend time outside during the mosquito dinner hour, at dusk or later, keep citronella candles lit for additional protection, wear long sleeves and pants, and apply mosquito repellent. DEET products offer the highest level of protection, but there are also natural formulas; they work to a lesser degree and for shorter amounts of time, therefore requiring more frequent application. 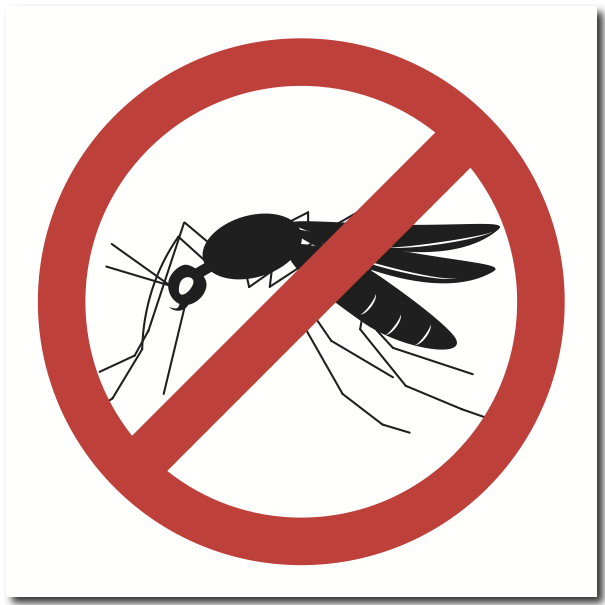 To keep mosquitoes out of your home, check all window and door screens for holes, tears and gaps they can fly through, and quickly open and shut doors when coming and going. There are a variety of DIY instructions online for building homemade mosquito traps, with the most popular involving cutting a two-liter plastic bottle in half and adding a mixture of 1 cup hot water, ¼ cup brown sugar and 1 gram yeast to the bottom; the top gets inverted and inserted into the bottom. The mixture creates carbon dioxide, which attracts mosquitoes in search of human blood to the trap. Commercial mosquito traps also use CO2 as an attractant, and many combine it with octenol, another human byproduct found in the breath, as well as light and heat. The mosquitoes get sucked into a catch bag or container. To ease the itch of a mosquito bite, the Mayo Clinic recommends applying hydrocortisone cream or calamine lotion. Rubbing alcohol and aloe vera are among the natural remedies folks swear by, as are oatmeal baths. Therapik offers a high-tech remedy for the itch and inflammation. Tech columnist Dwight Silverman recently tested the handheld device and gave it his approval. It uses a heat-generating light that “cooks” the chemicals that cause the itch. You simply apply the light to the bite. It costs about $13, making it another lost-cost option to try. The maker says the device also works on ant bites and bee, wasp and hornet stings. Due to the sheer number of mosquitoes in certain areas of the country, no one method of prevention or control will eliminate them from your daily existence. Try as many of the methods as necessary to create an environment as free as possible from the nasty bugs. And have your commercial and home remedies ready to treat the bites you do get.